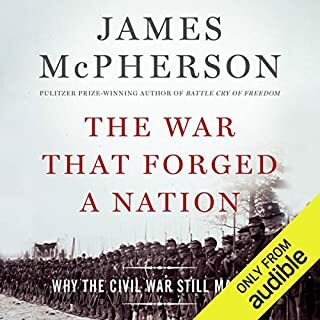 Pulitzer Prize-winning historian James M. McPherson considers why the Civil War remains so deeply embedded in our national psyche and identity. The drama and tragedy of the war help explain why the Civil War remains a topic of interest. But the legacy of the war extends far beyond historical interest or scholarly attention. It brings out the characters and events of the civil war in an informative, and enjoyable narrative manor. If a lecture topic does not focus on your interest you can easily skip to the next lecture and judge by the synopsis at the start of this one covers your interests. The passionate and knowledgeable lecturer examines a the civil war from a variety of perspectives that is both entertaining and insightful. His use of person accounts allows the issues to be considered from the point of view of the time rather than being distorted by our modern worldview. 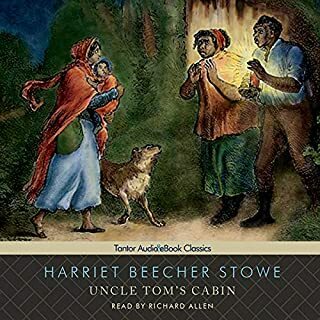 I purchased this series years ago from The Teaching Company, thus the reason I can write a review on the day it's released on Audible. 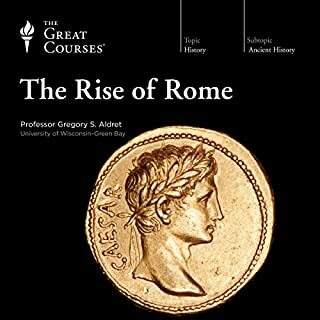 It's great to have this on Audible, and is a tremendous value. 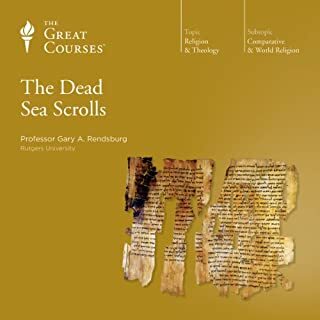 Professor Gallagher is a world class instructor and this series works very well in the audio format. Since this is a series of 30-min lectures it's very easy to follow and if you want a refresher it's easy to go back and find whatever you're looking for. 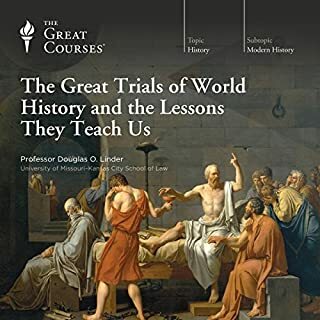 I've read probably a hundred Civil War books at this point, and this lecture was the first in-depth I listened to that got me started and interested in the subject. 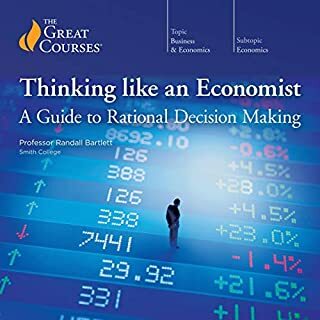 It's a great book for all levels, but certainly the less you know the more you're learn -- this is a great introduction and even if you already know most everything this is an excellent way to refresh your knowledge. Professor Gallagher's course on The American Civil War is the best, most insightful introduction to the subject in any medium. Any listener, from a beginner to an expert, will gain from his profound, unbiased presentation of the most important event in our history. Where does The American Civil War rank among all the audiobooks you’ve listened to so far? 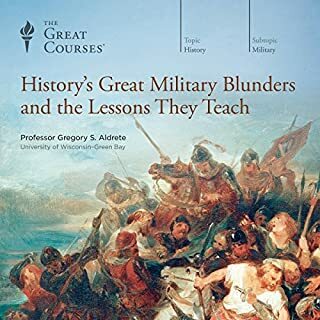 Overall: A very well-done course on all things American Civil War from the military history of the war and non-military events such as the emancipation, life on the home front, the diplomatic front, etc. The professor’s teaching style and wealth of information he brought to the table would help anyone learn something new about this topic. I can't imagine anyone walking away saying they didn't learn something new. • An excellent detailed narrative of the origins of the Civil War, the military history of the war, and study into non-military events such as the emancipation, life on the home front, the diplomatic front, etc. 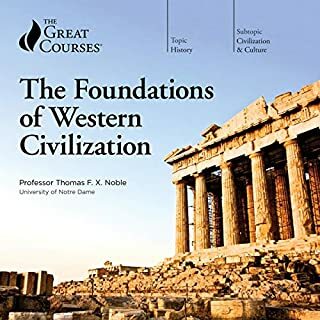 This course is a favorite of mine because Professor Gallagher took the time to express the the viewpoints (to the best of his expert knowledge) of the common people of that era. 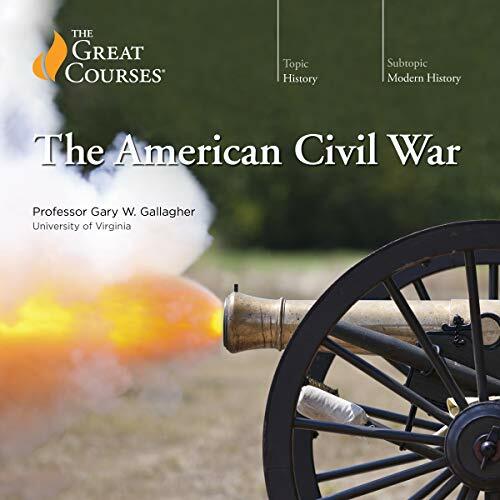 I felt the need for a comprehensive course on The American Civil War after reading several good books centered on that cataclysmic event.“The American Civil War” written and narrated by Professor Gary W. Gallager fulfilled my expectations perfectly. I have, over the course of a lifetime, picked up the usual sketchy understanding of the American Civil War common to most folks growing up and living on the West Coast – not much really. 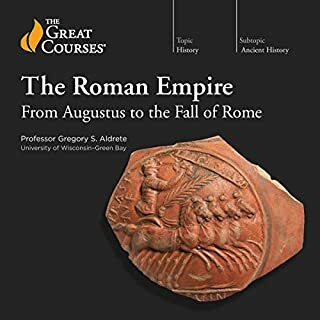 This course of 48 30-minute lectures was a perfect solid introduction. Now I can read history of this era with the confidence that I have a good broad based understanding of the sequence of events as well as their relative significance to the big picture. Professor Gallager delivered a lively and fascinating presentation. I was never bored, but, rather, had a tough time interrupting my listening to meet the demands of life. This was not just a study of civil war military action, but it also dove into life on the home front (both Northern and Confederate). I had never fully appreciated all the political pressure that drove so many decisions by the many military commanders in this tragic struggle - Professor Gallager was a huge help here. I experienced dozens of epiphanies while listening to this course. One stood out - I found it surprising to learn that, until the Civil War, nursing had been strictly a male profession. Professor Gallager provided a fascinating explanation of how this evolved, and why, during the war. Even if you feel you are well versed in The American Civil War, there is much you will find here as you refresh your knowledge of this country’s civil war history - this crucible in which our democracy experienced such a searing test of fire. 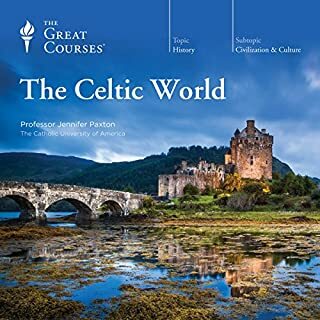 Welcome to Audible, Great Courses! I have been a fan of the Great Courses for a long time. The two biggest drawbacks were price and difficulty of download. So, hooray for Audible for bringing us this collection! "The American Civil War" is a terrific overview. I have recently moved to "Civil War country" near Antietam and am especially glad to refresh my memory of lessons past and add new knowledge about this subject. Professor Gallagher gives us military information, of course, but there's also much about the political, social (regional, racial, etc) and other ramifications of the conflict. I especially enjoyed lectures about what was going on at the homefront on both sides during the war - and the attention to the experiences of women and African Americans (slave and free). It's not difficult to understand, hearing this recording, why we still live with so much "baggage" from the Civil War. Also, how fortunate we have been since to experience no warfronts on our homeland. I learned a great deal from this course and highly recommend it! What did you love best about The American Civil War? I was a history major in college but devoted most of my studies to 20th Century history. I always wanted to learn more about the Civil War and this course was perfect. A fantastic presentation and great selection of topics covering a wide variety of social, military, and political issues. 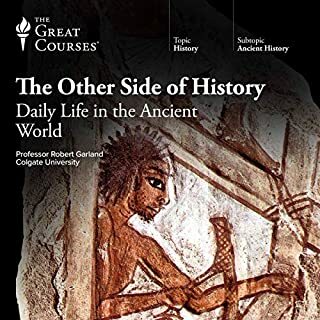 Dr. Gallagher is an engaging lecturer and does an excellent job of cutting through many of the post-war myths and misconceptions and focusing on contemporary accounts. The variety of topics and depth of treatment. What does Professor Gary W. Gallagher bring to the story that you wouldn’t experience if you just read the book? Engaging lecturer with a clear enthusiasm for the subject matter. The continued references to and quotation from contemporary, primary source material added great "human interest" to an already fascinating topic. Held my attention the entire time. So much detail and information but it felt so alive! Great books are a great bargain. What other book might you compare The American Civil War to and why? If you've read 1776 by David McCullough, it reads much like that but greatly expanded and covering the great depth of the civil war throughout each year of it. From the political, social, military, foreign perspective Professor Gallagher shines a bright light over one of the darkest periods of American history. I've always had an affinity for American history, the revolution in particular. This gave great depth and insight into the time and tensions of the nation. Very rich in battle history, and parsed with quotes and letters throughout. Its an extremely captivating listen. Which character – as performed by Professor Gary W. Gallagher – was your favorite? I dont know so much if he performed any character per say, but he definitely gives deep insight and character to each historical figure. And will quote from letters or diaries at length to give context and meaning to actions by individuals. All you needed to know and more. A really great use of a credit. Did Professor Gary W. Gallagher do a good job differentiating all the characters? How? Professor Gallagher is an expert on the Civil War and I've actually read quite a few of his works. 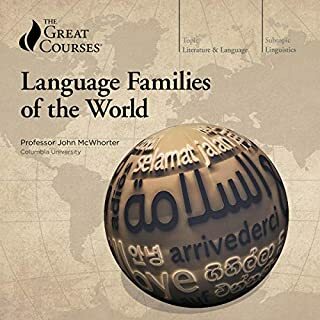 This lecture series could go on for years and could be subdivided into many different courses but for an introductory course, this is an excellent job. I'd recommend this to anyone who wants and overview of the main themes and characters of the Civil War. I think anyone wanting to delve in to Shelby Foote's three-volume narrative of the conflict should start here. It's just a pet peeve of mine but each lecture starts and ends with polite "gold clap" applause. It's obviously fake and inserted after the fact and it is really unnecessary. It's irritating to me, like fingers-on-a-chalkboard irritating. 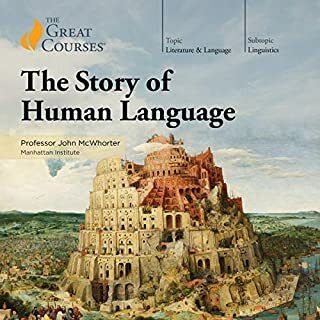 I'm giving it 3-stars for the performance because, well this is a lecture and I don't expect a dramatic reading and because of those silly "golf claps." I bought this because it looked excellent value and my intention was to get through it in about 12 weeks. I've had it a week now and I'm up to lecture 40 of 48 ! It has surpassed all of my expectations. It's compulsively interesting, told with great verve and authority, yet never solemn nor condescending. Every aspect of the war is covered, it's not in any way a succession of battles and skirmishes, although nothing is left out. 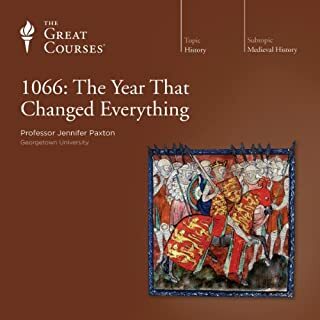 There is fascinating discussion of politics, slavery, women's roles, social attitudes, economics, technology, you name it and you'll probably find it. Lincoln plays a massive role and it's interesting to get the low down on Grant and Lee. The pace is fast moving but not so fast you don't have time to picture and imagine it, just right in fact. 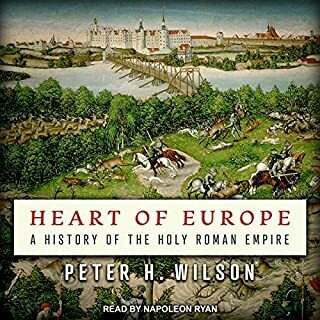 I thoroughly recommend this to anyone who is interested in real history. P.S. people complaining about the 'pompous' music at the start of each lecture ought to chill out, the one on here is Brandenburg concerto 2 by JS Bach. Get the album, it's sublime. A tremendous series of lectures. If you only get one account of the civil war, this should be the one. A breathtaking achievement by professor Gallagher. 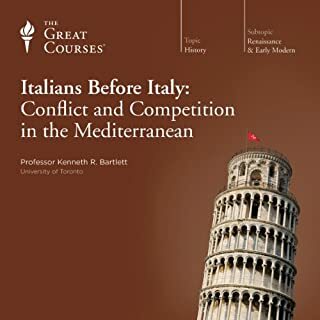 While some lectures were probably too detailed for my palate, I feel I was given a top class and well rounded view of the civil war from many aspects. Full of interesting anecdotes and well delivered by an author who is passionate about the topic. A great base to enthuse further research into this fascinating period of American history. Broken down into logical chapters that covers not just the military perspective but also the social economics of the period. 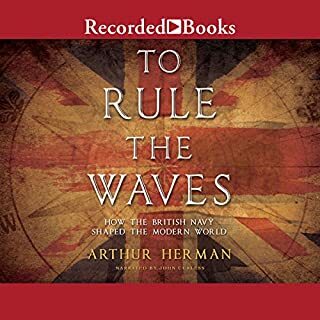 The series provides a sound overview of the war and introduces themes that warrant greater study. A fine introduction to the subject. Brilliant starting point for all things " Civil war" , superb piece of work, must have! I can say in words how well I enjoyed this and how easy it was to absorb and internalise. This has as much to do with the knowledge and presentation of the prof as the content. 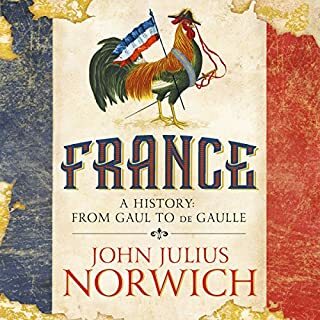 This was a brilliant prerequisite for further reading having laid out all the salient points with all the dramatis personae covered in great detail with their battles fought. The presentation is in places very witty. I had very little interest of the American Civil war but now this has opened up new worlds for me. Highly recommended! All you need to know about ACW packed in a 24hr pill. will definitely listen to it again as it's impossible to remember all the facts and anecdotes.